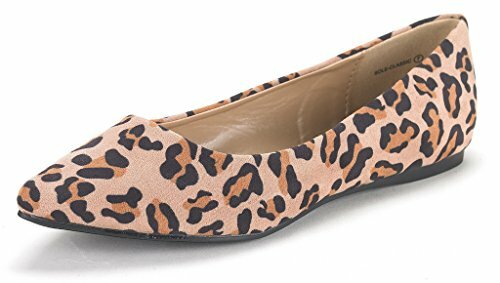 From classic ballet flats in strong vivid fun colors to animal print skimmers, our collection of flats can complement your outfits easily. 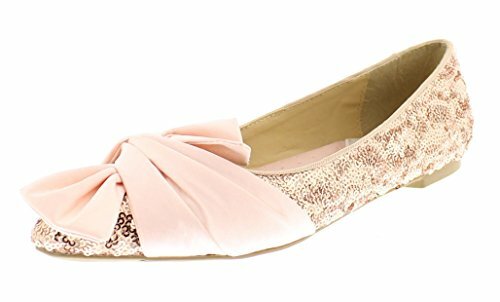 Most importantly, they are very comfortable for your feet and easy on your wallet! 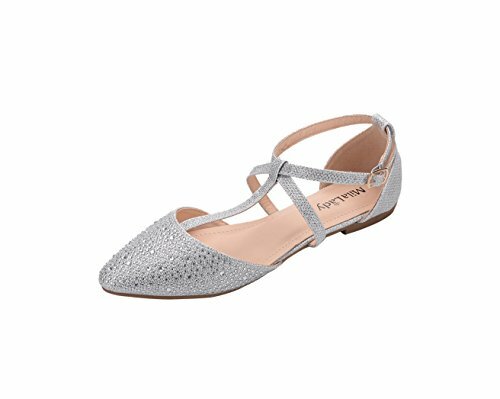 Includes one pair of clear small heel shoes. Available in women sizes 6, 7, 8, 9, and 10. 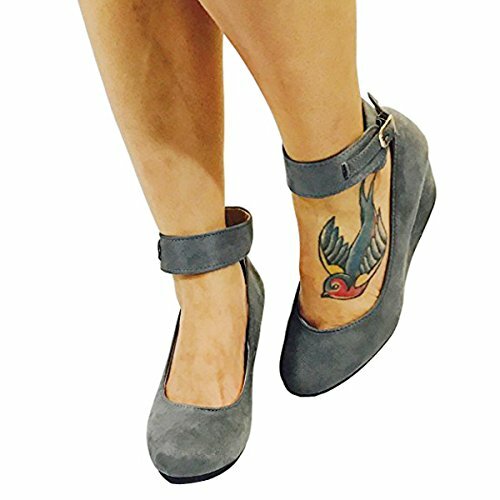 D-orsay Pointed Toe T- Strap Create your chic style , Premium microsuede uppers highlight pointed toes and a t-strap design connects to caged back heels. Padded insoles create a comfortable fit to finish the design. 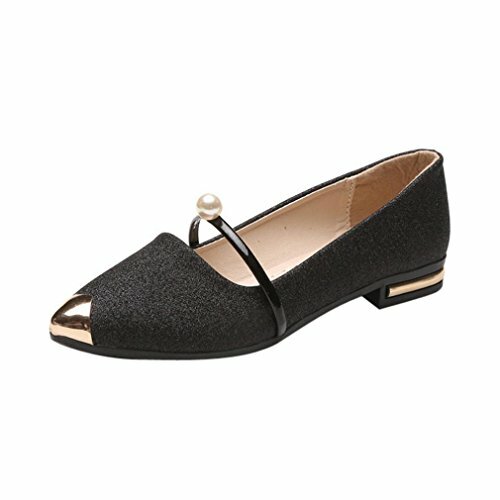 *Item specifics: Gender:Women Season:Summer/Spring/Autumn Closure Type:Slip-On Toe Shape:Pointed Toe Style:Elegant Outsole Material:Rubber Occasion:Wedding/Party /Office *Please check the size info mode as bellow: Size Foot Lenght US5.5 = 240 mm = 9.45 inch US6.0 = 244 mm = 9.60 inch US6.5 = 248 mm = 9.76 inch US7.0 = 252 mm = 9.92 inch US7.5 = 256 mm = 10.08 inch US8.0 = 260 mm = 10.23 inch US8.5 = 264 mm = 10.39 inch US9.0 = 268 mm = 10.55 inch US10 = 276 mm = 10.86 inch US11 = 284 mm = 11.26 inch *Attention Please: Please measure your foot from toe to heel. Size based on your feet length. In order to make sure the length is the MAX length, please stand to make the measurement, not sit.Thank you! 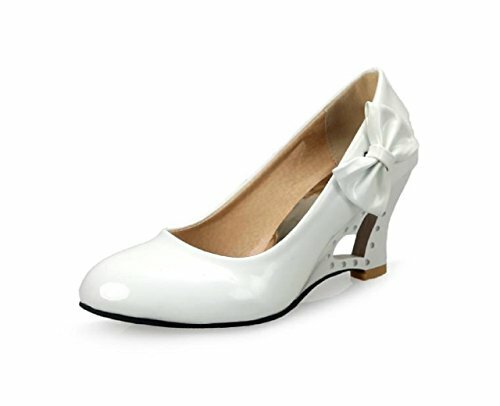 Trendy, Ankle Strap, comfortable, mid heel wedge pump heel shoes. 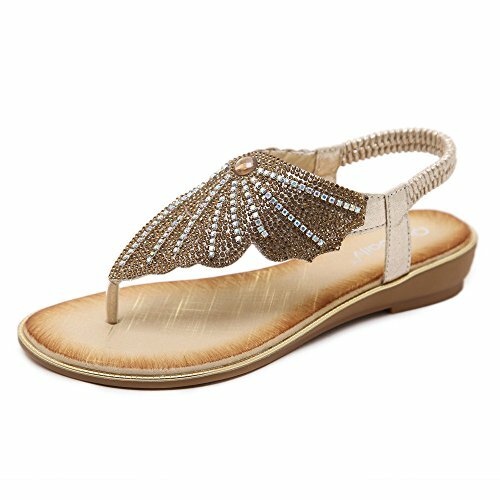 Stand out in the croud withe these stylish flat sandals! Their studded, beaded,makes them truly unique and a must for your summer wardrobe! Feather: 3.Good choice for holiday and daily wear. 2.Decorated with colorful beads,can be matched with any clothes. 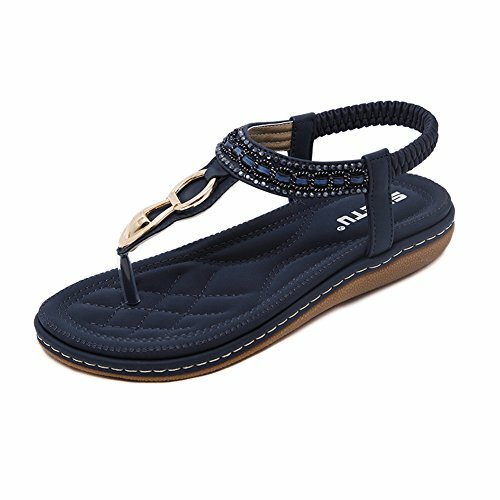 1.Lightly padded footbed helps to reduce fatigue while you're on your feet. SIZE TABLE 【Size:-US:5.5 - RU/EU/CN: 36 - Foot Length:22.6-23.0cm/8.9-9.1"】 【Size:-US:6 - RU/EU/CN: 37 - Foot Length:23.1-23.5cm/9.1-9.3"】 【Size:-US:7 - RU/EU/CN: 38 - Foot Length:23.6-24.0cm/9.3-9.5"】 【Size:-US:8 - RU/EU/CN: 39 - Foot Length:24.1-24.5cm/9.5-9.6"】 【Size:-US:9 - RU/EU/CN: 40 - Foot Length:24.6-25.7cm/9.7-10.1"】 【Size:-US:9.5 - RU/EU/CN: 41 - Foot Length:25.7-26.5cm/10.1-10.4"】 【Size:-US:10 - RU/EU/CN: 42 - Foot Length:26.8-28cm/10.6-11.0"】 ABOUT SIZE : PLEASE ORDER YOUR RIGHT SIZE ,IF your foot is Wide ,Please Choose One Size Bigger ,it will match your foot better .